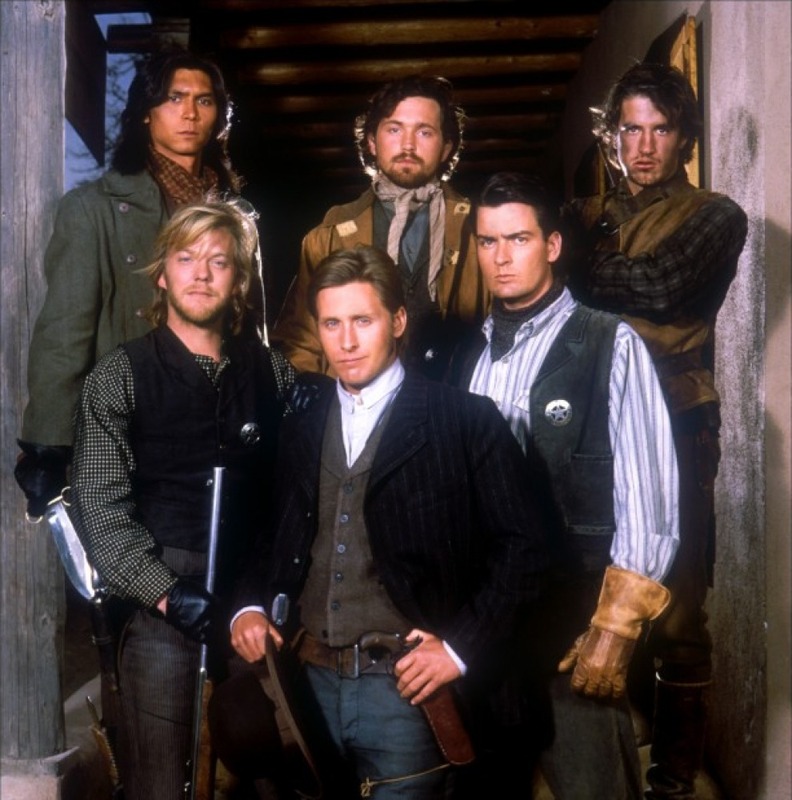 Y is for Young Guns | The Tales of Missus P.
Young Guns: was first a movie before it was a band. Now, I remember these movies fondly as a kid because it starred every hip, male actor (Kiefer Sutherland, Charlie Sheen, Christian Slater was in the sequel as well). Emilio Estevez played a pretty funny, charming Billy the Kid. This is why I think a young audience maybe could appreciate this because they would know Sutherland and Sheen, plus the movie isn’t played a lot anymore on cable and, more than likely, the historical reference to William H. Bonny got lost somewhere between 1990 and now. The thing I remember the most about the second movie was the Bon Jovi song which was so “cool” back then. (Jon Bon Jovi as an actor now is fine, but the music, sorry, no. Time to move on.) I always liked western movies to a degree because I’m from the hills of Ohio so it’s pretty much a prerequisite for us there. I just found out that John Locke was in this too – crazy! Alex McSween: I’m not leaving my house. William H. Bonney: Alex, if you stay they’re gonna kill you. And then I’m gonna have to to go around and kill all the guys who killed you. That’s a lot of killing. This entry was posted in All About Me, Movies, Music, Review, Television, Writing and tagged 80s, 90s, a-z, atozchallenge, Billy the Kid, Bon Jovie, Casey Siemaszko, Charlie Sheen, Christian Slater, cowboy, Dermot Mulroney, Emilio Estevez, Kiefer Sutherland, Lost, Lou Diamond Phillips, Terence Stamp, Terry O'Quinn, Western. Bookmark the permalink.